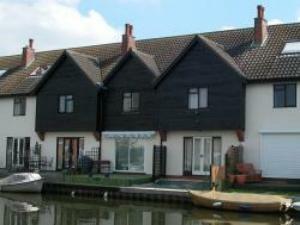 4 Trail Quay Cottage01263 715779work01603 870304fax Self-cateringSet directly on the riverside, tucked away in a peaceful part of the Broads village of Wroxham, 4 Trail Quay Cottage is within walking distance of pub, restaurants, shops and cafes. You can hire boats and sail on the river, or visit many of the attractions and reserves close by. • Other: Linen provided, towels available to hire. Travel cot. Set directly on the riverside, tucked away in a peaceful part of the Broads village of Wroxham, 4 Trail Quay Cottage is within walking distance of pub, restaurants, shops and cafes. You can hire boats and sail on the river, or visit many of the attractions and reserves close by.